A few days ago, the Wall Street Journal had an article describing how the FBI and other law enforcement agencies are using electronic and cellphone monitoring and tracking devices known as stingray. 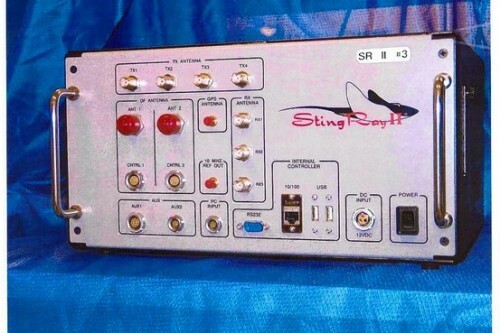 As described in the article, the Stingray device functions as a mobile cellphone tower and can trick near by cellphones from connect with it. When a cellphone connects with it, the signal strength can be an indicator of how close the cellphone is and in this fashion you can collect enough information to triangulate the suspects location. This technology will work even if you are not using your cellphone an law enforcement has used it in situations where they don’t have a search warrant. The Federal Bureau of Investigation considers the devices to be so critical that it has a policy of deleting the data gathered in their use, mainly to keep suspects in the dark about their capabilities, an FBI official told The Wall Street Journal in response to inquiries. There is a big glaring error in the above sentence, the FBI delete the data gathered in the use of stingray devices to keep the general public in the dark, not the suspects. Because stingray devices mimic cell towers, hundreds and thousands of cell phones will connect with it that are nearby. To catch one suspect, law enforcement is using sweeping powers and technology that log and track a whole wide range of people. If you use a stingray device in New York City, you are gathering data from thousands of cell phones not just the suspect. Another big problem with this technology is that it can monitor voice and data transmissions. Since stingray devices mimic a cell tower it can intercept voice and data transmissions. To this point the article quoted a law enforcement officer from the sheriff’s department in Maricopa County, Ariz. describing that they “can’t listen in on communications.” This means that the sheriff’s department there doesn’t have the latest model. If you can mimic a tower you can definitely intercept, capture, and log all data the flows through the fake honey pot cell tower. Another point not mentioned in the Wall Street Journal article about the use of stingray devices is that they are not necessary. Law enforcement agencies can get the location of a cell phone by going to the cell phone carriers. Telecommunication companies like Comcast, AT&T, and even Google have portals where law agencies can request information on their systems on a suspect. So if law enforcement agencies can get the location of a suspect without the use of stingrays, why are police departments stocking up on these devices? So if law enforcement can track the location of a suspect by having a warrant and going to the cell phone carriers, they prefer the use of stingray devices because they don’t require a warrant, they can delete the data they gather afterwards, they can cast wider nets, and because it’s a cool gadget! Filed under: Search warrants? We don’t need no stinkin’ search warrants!